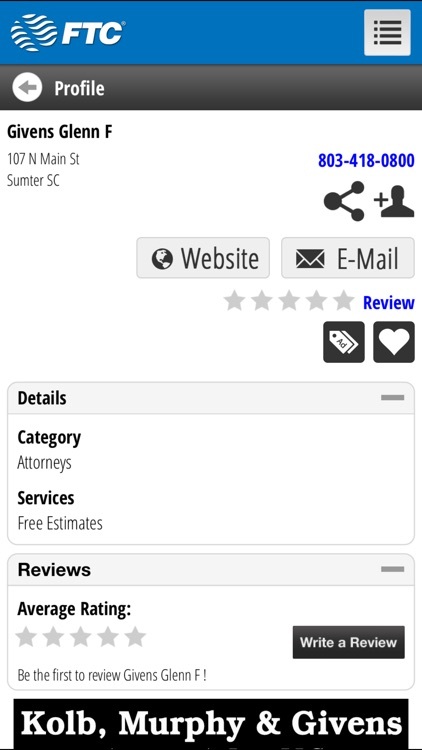 Have your FTC Search Phone Directory at your fingertips anytime, anywhere! 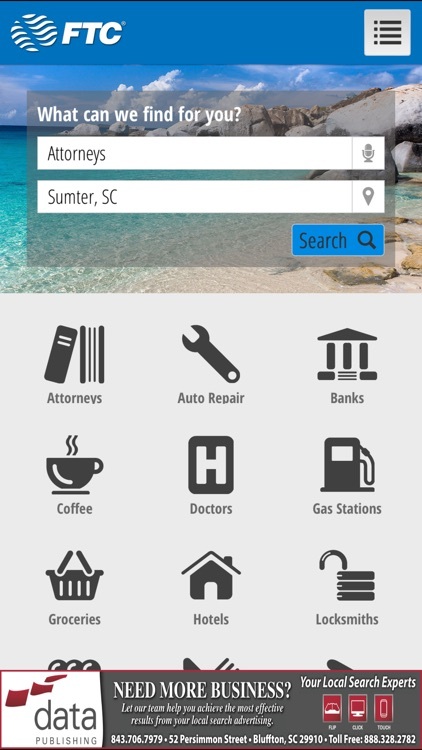 You can find any local business or residential listing by toggling between a standard list-view and map-view, get directions, click-to-call a business, browse business' websites, and find enhanced information on business profile pages. In addition, GPS guided map navigation allows users to navigate listings by simply manipulating the map. Listing results are automatically updated as you scroll or change the zoom level on the map without requiring you to resubmit a search. 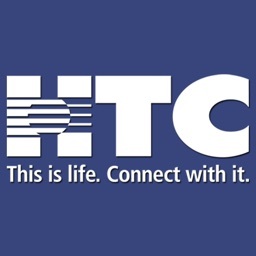 The FTC Search application for iPhone®, iPod® Touch, and iPad® devices helps you find businesses and people quickly and easily. 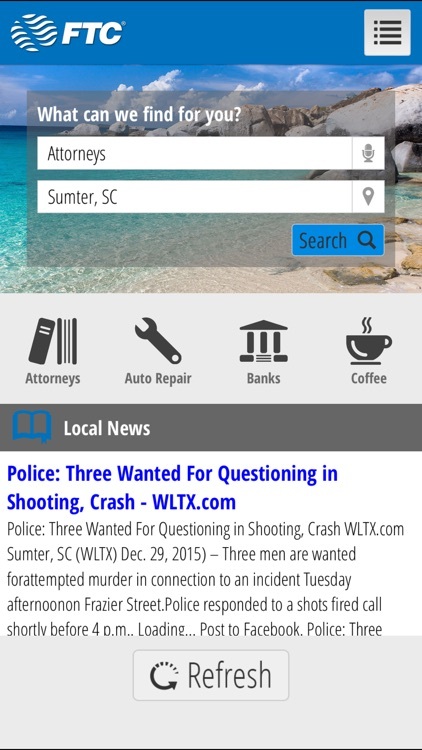 •One integrated application that allows you to search for any business or person. •Uses GPS (where available) to find listings close to you, and view them on the map. •Instant directions and Turn-by-Turn Navigation now available for users with GPS enabled devices and Apple Maps (iOS6). •Quick Find Shortcut Screen to search most popular categories! •You can view detailed information on a business; this may include: addresses, phone numbers, email addresses, website URL’s, hours of operation, services, products, specialties, videos, photo montages and display ads (where available). •Once you've chosen the listing, you can instantly save it to your contacts or share the information by Facebook, Twitter, email or SMS. •Built in QR Code Reader with flashlight! Scan any QR or barcode code, day or night! 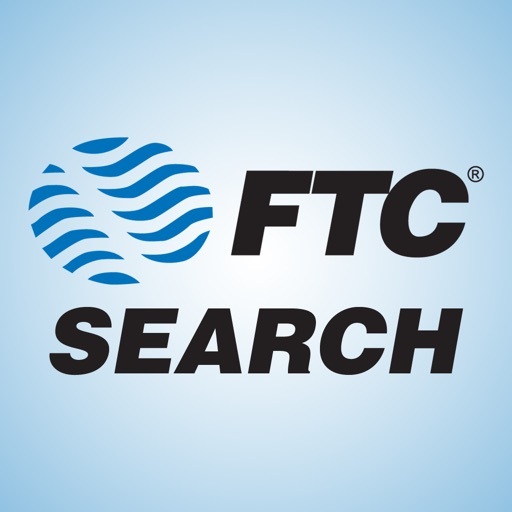 FTC Search allows you real-time access to listings, ads and categories within any of our directories. 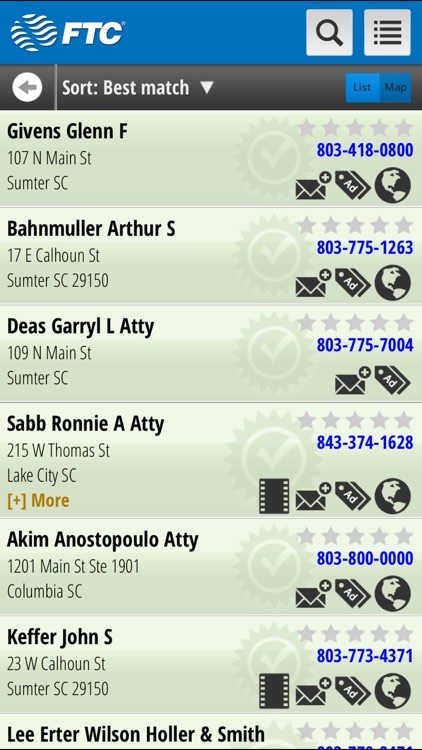 Information is updated daily, so you know the listings supplied to your mobile device are always up to date! 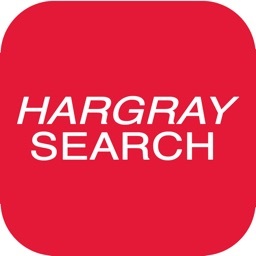 This app contains all the listing information from both the Business Directory and Residential Directory sections of our printed phone directories across all of the regions we cover. 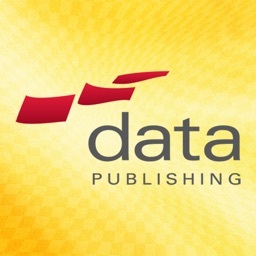 All mobile content is driven from the same data that's published in our online business and residential directories on our website. It truly is your best local search! 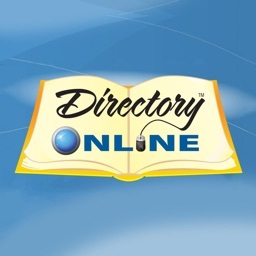 Within the FTC Search App, all our directories are presented in a list-view format. This provides a simple text-based interface and “Click-to-Call” functionality that allows mobile phone users an easy way to place calls directly from advertisers’ listings. 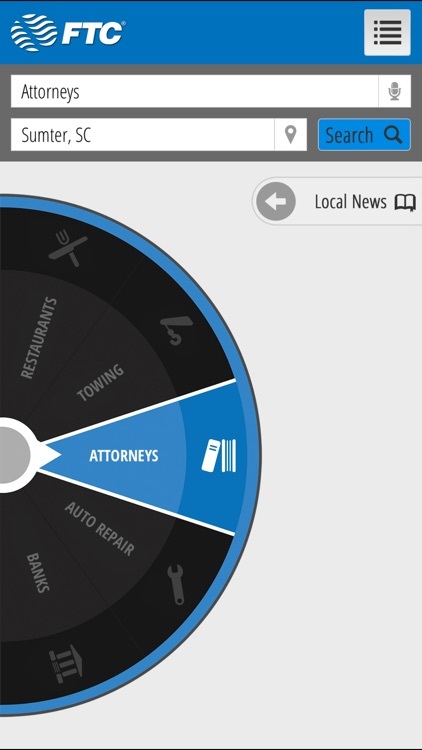 Mobile broadband customers using Internet web browsers will enjoy the added benefits of an improved graphical interface along with easily accessible ads, coupons, maps and driving directions. 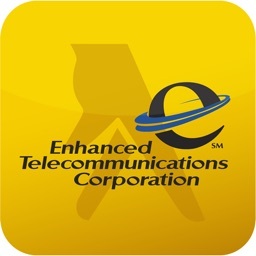 FTC Search offers speech recognition to make finding a listing fast and easy. Entering a simple search term like “Plumbing Contractors” using the standard iPhone® touch interface can take well over 15 keystrokes. With speech recognition, you can simply push a button and speak your search query – thus greatly reducing the number of steps required to find a local business. FTC Search now scans both QR codes and barcodes! With a single click using your smartphone or tablet camera you will be redirected to profile pages, webpage links, books review, multimedia and calendar online information. QR Codes generated by FTC will load automatically within the app, optimizing your results!